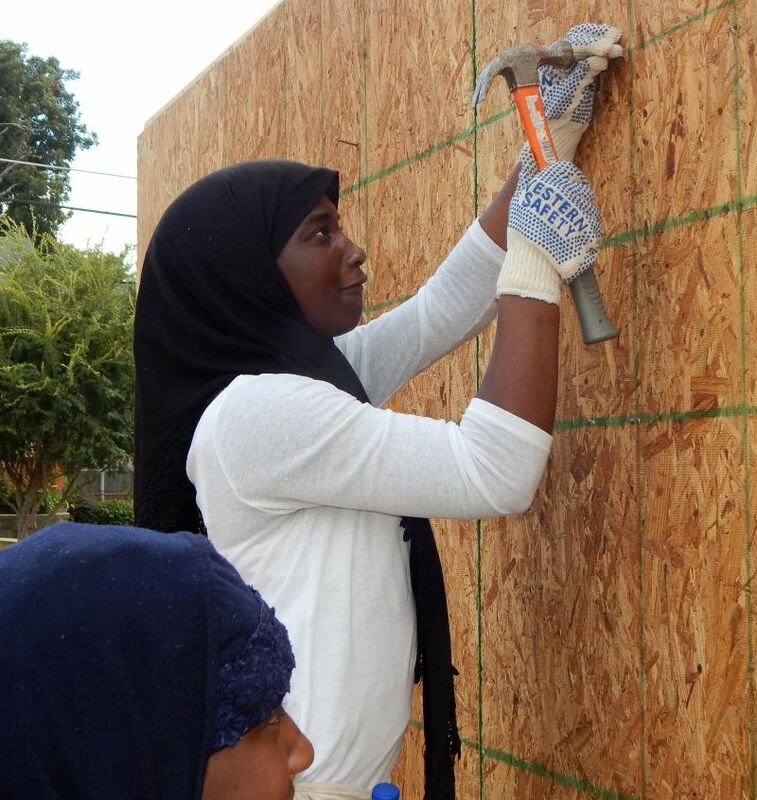 So, when people who are not familiar with The Fuller Center’s work see pictures of Christian volunteers working alongside Muslim homeowner partners in Shreveport’s Allendale neighborhood at the 2015 Millard Fuller Legacy Build, you can understand why they might be taken aback for a moment. But those who have long been associated with the ministry know that founder Millard Fuller believed that his deep Christian faith required him to “love thy neighbor.” Whether those neighbors are Christian, Muslim, Jewish, Hindu, Buddhist or even of no faith, The Fuller Center’s mission remains to share the love of Christ with them through the building and repair of homes. “The Fuller Center is an unashamedly Christian organization, but part of being a Christian is that you reach out to all folks in need,” said Fuller Center President David Snell, who helped draft those founding principles and is volunteering this week on the home that will belong to Lytonja Smith and her eight children. Smith is a determined woman who escaped an abusive marriage and is raising eight wonderful children — the three eldest are excelling in college, while the five youngest attend local public schools. 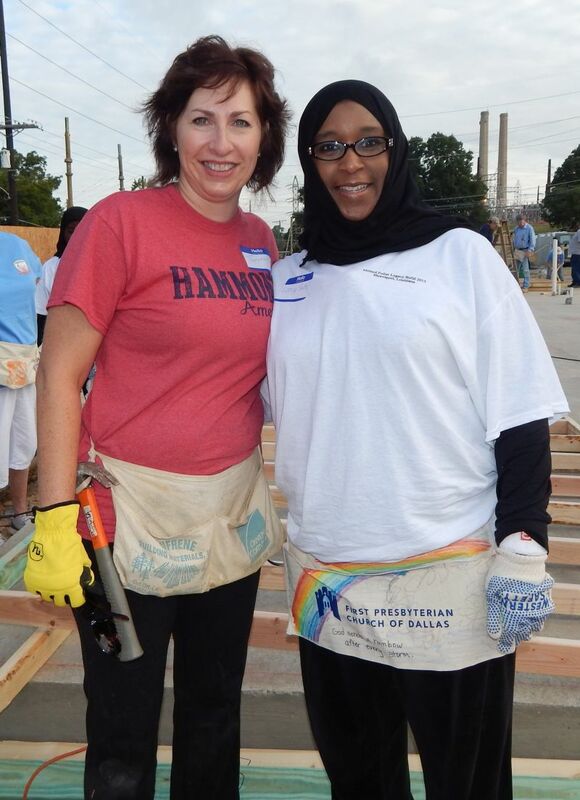 She says that while the headwear that she and her daughters don on the work site may make them stand out from the crowd, they consider themselves of one spirit with the Christian volunteers around them. Snell said that The Fuller Center’s work with Muslims here or with Hindus in Nepal or Buddhists in Sri Lanka builds much more than homes — it also builds trust and peace. Smith said that house leader Kenneth Young has been patient with her and the two daughters — Fatimah and Jasmine — who are old enough to join her on the work site. Click here to see photos from Day 3 of the Legacy Build.